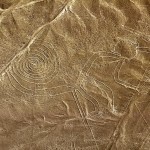 One of the greatest archaeological mysteries of the world, are giant sketches in the desert of western Peru drawn in ancient times by the Nazca Indians, who flourished in the area from 200 BC to about 600 AD. The drawings were created on such a large scale that the shapes can be appreciated only from the air. 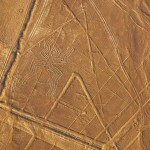 The Nazca Lines were made by removing darker colored rocks to reveal lighter colored sand underneath. Because there isn’t much rain or wind in the area, the designs are still clearly visible even though they were made between 500 and 2000 years ago. 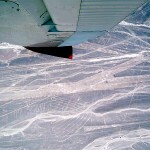 UNESCO added the Nazca site to its World Heritage List in 1994. They were discovered accidentally from an airplane in flight in 1927. By the end of the 1980’s new lines were discovered. The general consensus of archaeologists, anthropologists and scientists is that the Nazca Lines were created by the Nazca people themselves since the figures drawn in the desert correspond with images found in other examples of Nazca art, such as pottery. 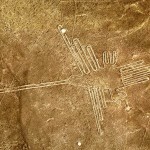 The purpose of the lines continues to be a mystery and remains a matter of conjecture and since the Nazca Culture was prehistoric, they left no written records. 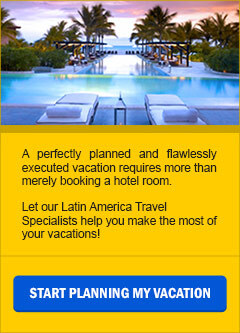 A sensibly planned and flawless executed Vacation Program to Peru, contributes to the Nazca Conservancy projects and ensure the preservation of its treasures.